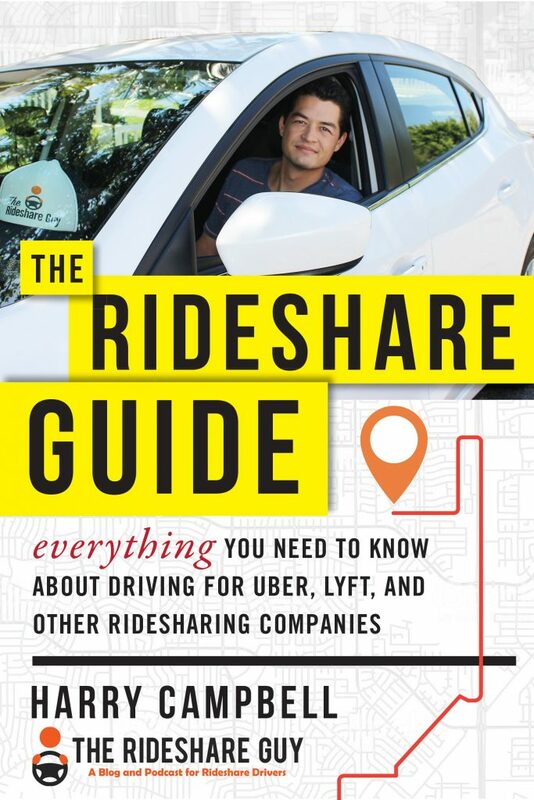 This is the sixth and final article of our Business of Rideshare Series. Last time, we covered all the best mileage tracking apps and today we’re going to tell you exactly what you need to know to get your taxes done right. This is article 6 of a 6 part series. Taxes are bad enough for W2 employees but once you become a rideshare driver things unfortunately get even more complicated. Luckily, this guide will help you realize all of your income, expenses and deductions to ensure that tax time is a breeze. Whether you end up doing taxes yourself or hire a pro, it’s very important that you understand the basics of 1099 employment and taxes. That way, you’re not just handing your CPA a shoebox full of receipts and hoping for the best. The first thing you need to know is what it means to be a 1099 employee (aka independent contractor). Most drivers are former W2 employees so they are used to having taxes withheld from their paycheck and at the end of the year; they may owe a little or get a small refund. As an independent contractor though, no taxes are withheld from your paycheck. So that means that you need to set aside money every week from your paycheck for taxes at the end of the year. A good rule of thumb is to set aside 30% of each paycheck for taxes. If driving is your sole income source (and maybe even if it’s not), you’ll also have to start paying estimated taxes each quarter. This is just an estimate of the amount of taxes you’ll owe at the end of the year. It’s very similar to how employers withhold taxes from your W2 paycheck. You can calculate it easily with tax software which we’ll discuss below. As a 1099 contractor, you’ll also need to file a Schedule C and SE in addition to your normal schedules come tax-time. You may not have realized it yet, but the second you became a driver, you are now a business owner or what’s known in tax speak as a sole proprietor. In day 1, we covered the different business entities but remember that the tax treatment for sole proprietorships and LLCs is exactly the same. Uber and Lyft both consider themselves third party payment processors. A third party payment processor is essentially a company that facilitates payments between consumers and business owners. So that’s why you see companies like Paypal, Amazon Payments and Square label themselves as third party payment processors. Now obviously Lyft and Uber do a whole lot more than facilitate payments but this is the distinction they’ve decided to go with. What that means for drivers is that there are two different type of tax forms you may get. For the tax year 2013, Uber issued 1099-K’s only for drivers who made over $20,000 in gross fares and did over 200 rides. This led to a lot of drivers not getting a 1099 and some (incorrectly) assuming that they did not have to pay taxes. And just in case you were wondering, you always have to pay taxes on money you earn, regardless of whether you get a 1099 or not. For tax year 2014, they ended up mailing out 1099-K’s to all drivers regardless of whether or not they hit the threshold. If you made over $600 in bonuses or miscellaneous income then you will also receive a 1099-MISC. The 1099-MISC is pretty straightforward: whatever number appears there is the amount you made and will be combined with the gross fares from your 1099-K.
Now where it gets confusing is with the 1099-K since Uber reports gross fares including all of their fees/tolls/etc. All you need to do is combine the number on your 1099-K and/or 1099-Misc and that is the total that will go down as your income on your Schedule C.
That number will be a lot higher than what you actually made though. In order to get your true earnings, you will now have to sum up the expenses from your 1099 Summary Page (that can be accessed under Payment Statements->Tax Information). Tolls, split fare fees and safe ride fees will be listed as both earnings and expenses. 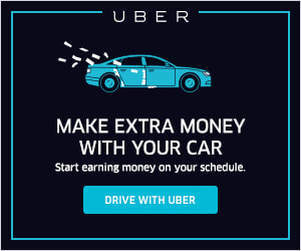 Since they are already included in the income portion of your Schedule C you will combine them with the device subscription fee and Uber fee in order to get your total expenses. That number will be entered on line 10 of your Schedule C – “Commissions and Fees”. If you’d like to do one final sanity check, you can always add up all of your payouts from your partner statements throughout the year and that number should equal your ‘Total Income (1099-K gross fares + 1099-MISC)’ – ‘Commission and fees (all of Uber’s fees listed on the 1099-K Summary)’. If you would like a further clarification of the Uber 1099, check out the breakdown here via the QuickBooks Self-Employed Center. Lyft handled their 1099-MISC the exact same way as Uber: drivers who earned over $600 in bonuses, mentor rides, etc received one. But they actually adhered to the $20,000/200 transaction limit 1099-K limit. So if you did not meet those thresholds you will not receive a 1099-K.
That means that most of you will not be receiving a 1099-K from Lyft but remember you still have to pay taxes on that money. In order to correctly report your income, you’ll need to head over to Lyft’s tax summary page and there you’ll see your gross ride earnings, Lyft commission and tolls paid. Note that Lyft does not include the trust and safety fee like Uber so you can ignore this number completely. The process is pretty simple from here since you will take your gross ride earnings and add that to your 1099-MISC earnings (if you got one) and enter that as income on your Schedule C. Then, add up Lyft’s commission and tolls paid and enter that in line 10 of your Schedule C – ‘Commission and fees’. Check out the Lyft 1099 breakdown here if you’d like more information. If you end up driving for Lyft and Uber, you only have to file one Schedule C but you will need to combine the income from Lyft and Uber on your Schedule C and combine the Commission and fees from Lyft and Uber too. Just make sure you account for the correct expenses as detailed above. 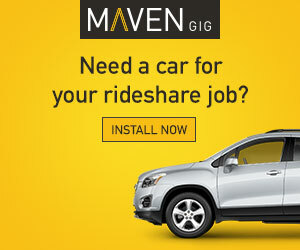 Since Uber, Lyft and Sidecar are all considered the same ‘rideshare driving business’, you only need to fill out one Schedule C. But if you also rent out a room on AirBnB or do odd-jobs on TaskRabbit that would require a separate Schedule C.
Drivers have the option of deducting their actual vehicle expenses or taking the standard mileage rate of 57.5 cents per mile. Most drivers will save more money though by opting for the latter. Generally, the more economical your car is, the greater your savings will be with the standard mileage rate. The standard mileage rate includes all of the costs to operate your vehicle: gas, depreciation, oil changes, maintenance, repairs, etc. In day 5, we covered all of the ways to track mileage and now you should be starting to see why that’s so important. Uber actually provides the total number of miles you drove while on a trip in your 1099-K summary but Lyft provides your total number of miles while you were logged in to driver mode. If you don’t have any records of mileage, you may be able to go off of this but it’s recommended to keep your own logs. The three most important rules when dealing with the IRS are documentation, documentation and documentation. So while you may be able to rely on the numbers from Uber/Lyft, it is a lot safer to keep your own independent log. Other expenses like car washes, cell phone use, candy/water/etc, Spotify membership, Bluetooth, Trunk Organizers, etc may be deductible too as long as they are ‘ordinary and necessary‘. The only thing you’ll need to watch out for is with deductions like a cell phone that may be used for personal and business use. Generally, you will need to allocate between personal/business use, so if you use the phone 50% of the time for business and 50% of the time for personal, then you would only be able to deduct half of the cost of the phone and monthly subscription. The QuickBooks Self-Employed Tax Bundle combines QBSE with TurboTax Home & Business (You’ll need “Home & Business” to file your ridesharing taxes). We have mentioned using QuickBooks Self-Employed a lot through this guide because they really have something that brings everything together. So its no surprise that they also do a great job of helping you with your rideshare taxes. In addition to tracking your expenses, income, mileage and deductions, QBSE will actually sync your Schedule C to TurboTax. This saved me money and a few hours of my life that I would rather not spend on sorting through receipts and spreadsheets. You can still buy TurboTax by itself, which will run about $120 for both the Federal and State return but if you get the Bundle, you can get QuickBooks Self-Employed + TurboTax Home & Business for just $11.99 a month. So the bundle is a pretty good deal actually since it will save you about $60 between the two. If you don’t want the bundle and just want to get TurboTax Home & Business, please consider using my affiliate link. I will get a small cut out of any purchase you make. H&R Block is another great option for drivers and the home and business version is considerably cheaper than TurboTax. H&R Block also has all of the same auto-import features and both services can actually import each other’s returns from prior years so switching shouldn’t be much of a hassle. Ultimately, with TurboTax you’re paying more for the brand name. H&R Block is a suitable product but it’s just not as widely recognized as TurboTax. You can actually start your return for free online and go all the way up to filing before having to pay. You can purchaseH&R Block on Amazon or at a local retailer. Found Out You Owe Money to the IRS? Owe back taxes to the IRS? Ouch! If you owe the IRS and need help getting out of debt, check out Tax Closure. Tax Closure helps you reduce or eliminate IRS taxes you can’t pay. Best of all? Tax Closure’s employees are retired IRS agents, so they know exactly how to help you get relief or eliminate your IRS taxes. Check out Tax Closure here. 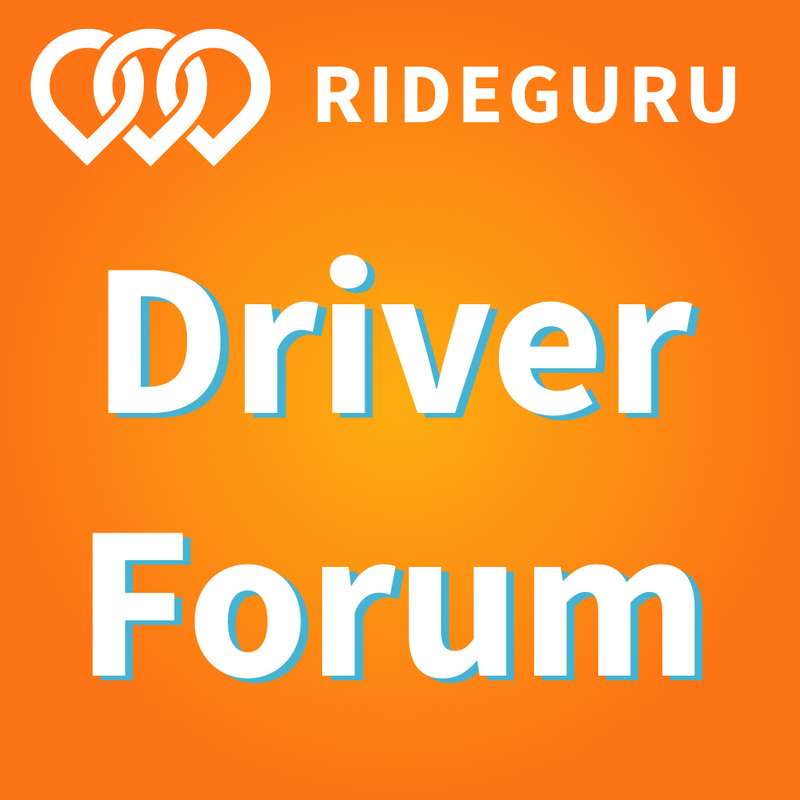 Have any questions about rideshare taxes? Leave a comment below.